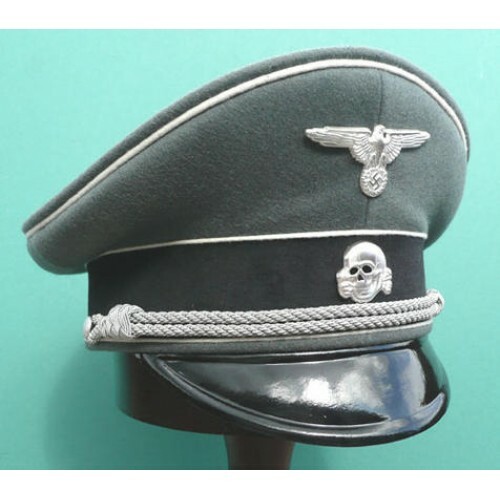 Waffen-SS Infantry Officers Peak Cap. 'Doe skin' top with white piping, aluminium cap cord & buttons. 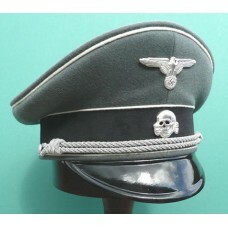 Complete with silvered or antiqued metal eagle & skull.